I had the cutest little spring time weathervane. It was a running rabbit and I just loved it. You’re noticing the past tense? Had. Was. Loved. That poor guy had and accident and got broken. Since I am a pack-rat/potential project supply hoarder, I held on to the base of the weathervane… just in case I got an idea. I got an idea. 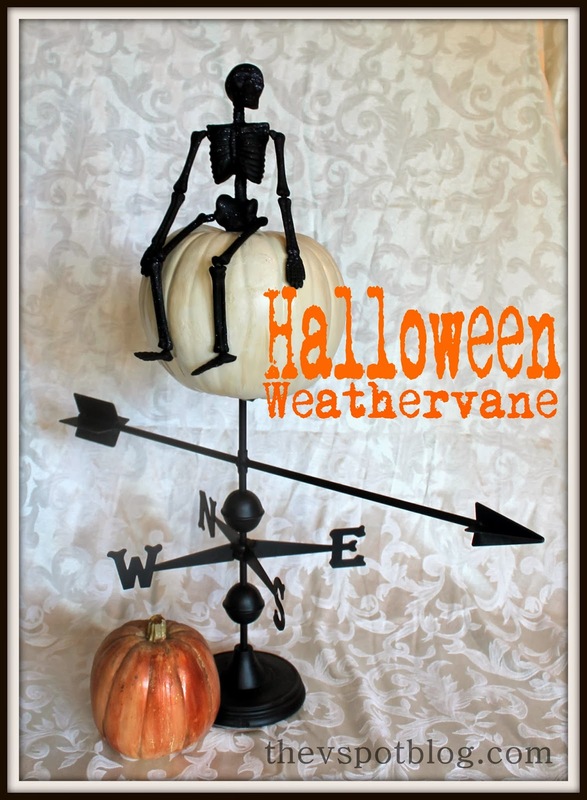 How about a spooky Halloween Weathervane? Oh, how I love Halloween. And Dollar Store supplies. Next, I got a Dollar Store Pumpkin that I had previously painted white and cream, and a Dollar Store skeleton. I punched a hole in the bottom of the pumpkin and then slowly, carefully wedged it onto the end of the weathervane. I didn’t want to glue it, because I want the option to use the pumpkin elsewhere and now my mind is spinning with other holidays where I might be able to change up this weathervane. 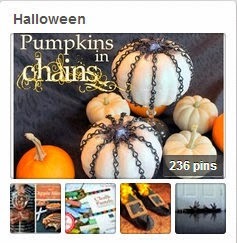 For more Halloween ideas, be sure to follow me on Pinterest! Love the way it came out. I voted for a witch on a broom but this looks great! 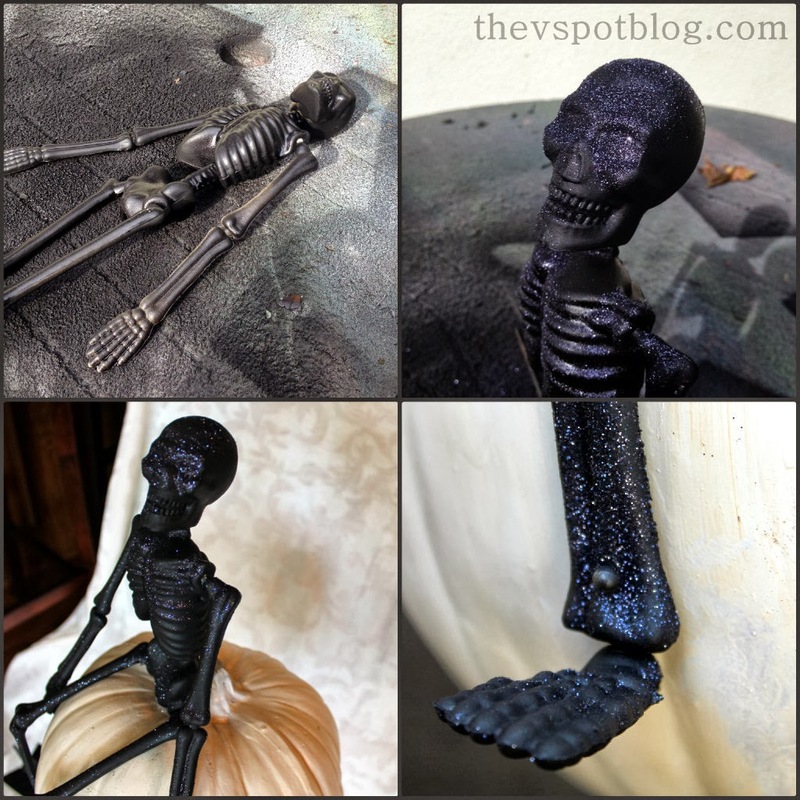 Gotta love a sparkly skeleton! I Love, Love, Love this!!! 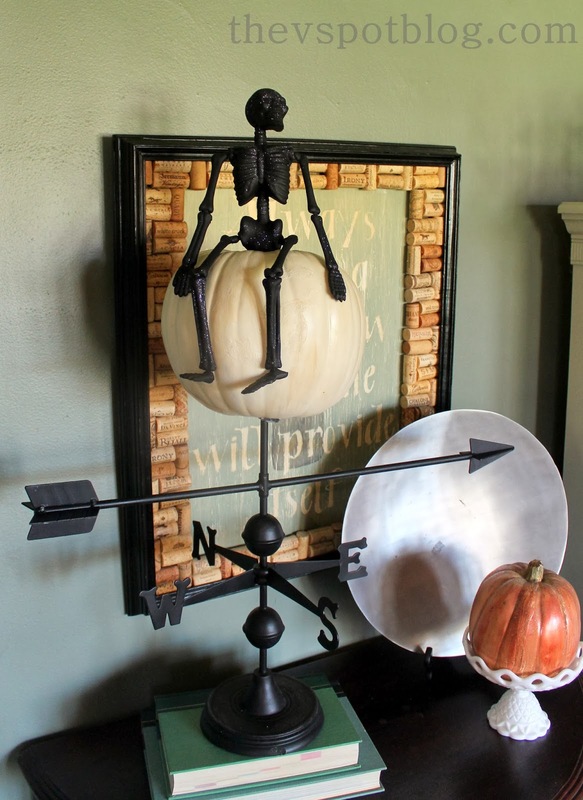 I don't have a weathervane, but I could just put one of the skeletons on a pumpkin. I've got several of both on hand! Going to copy you! This is pretty awesome! Your skeleton looks quite jaunty up there!